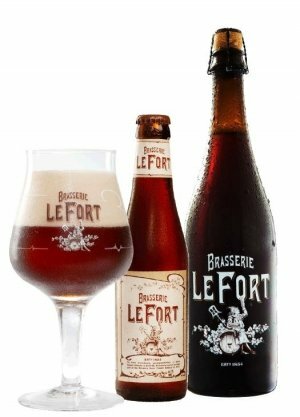 LeFort is a complex, dark beer of 9% with a sweet and fruity touch. The pale and roasted, dark barley malts give the beer a perfect balance. The beer is lightly flavored with chocolate and caramel and the high fermentation gives a slight fruitiness. This results in a dark beer with a completely unique taste. We serve this beer in a 75cl bottle, so you can enjoy it in good company.